An exhibition presenting the work of archaeologists from the University of Warsaw has just opened in Armenia. Achievements of the Polish Centre of Mediterranean Archaeology, the Institute of Archaeology and the Centre for Precolumbian Studies are displayed in the archaeological museum in Metsamor. The exhibition was opened by Prof. Mariusz Ziółkowski and Mrs. Arev Samuelyan, deputy Minister of Culture of the Republic of Armenia. 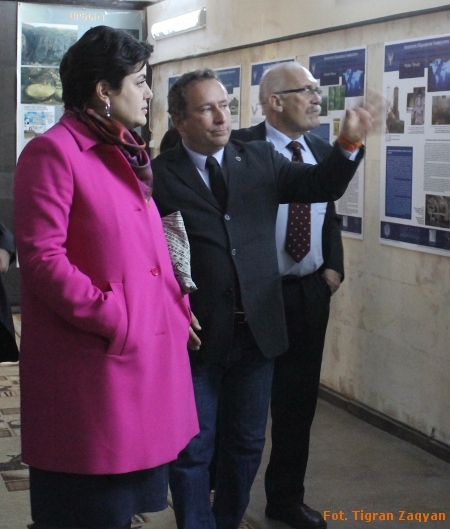 The guests visited also the archaeological site in the lower city of Metsamor, where an Armenian–Polish archaeological mission, headed by Krzysztof Jakubiak and prof. Ashot Piliposyan, has just finished its second season of excavations. 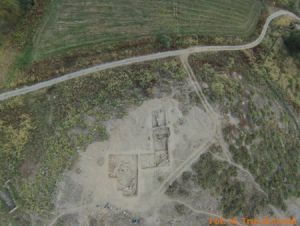 The archaeological site at Metsamor dates back to the Neolithic period, with the most intense occupation during the Bronze and Iron Ages.